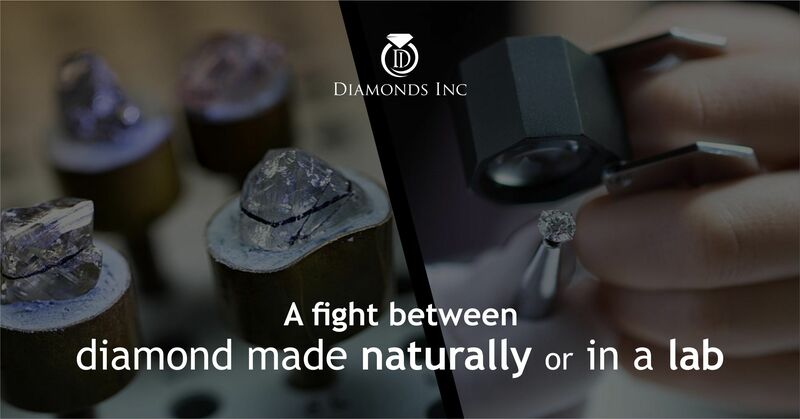 The battle between lab-created diamonds and natural diamonds are prevailing from the day diamonds are created in the laboratory. Will you like to participate in this fight? Or you can’t even decide which one to prefer, which one to be with. 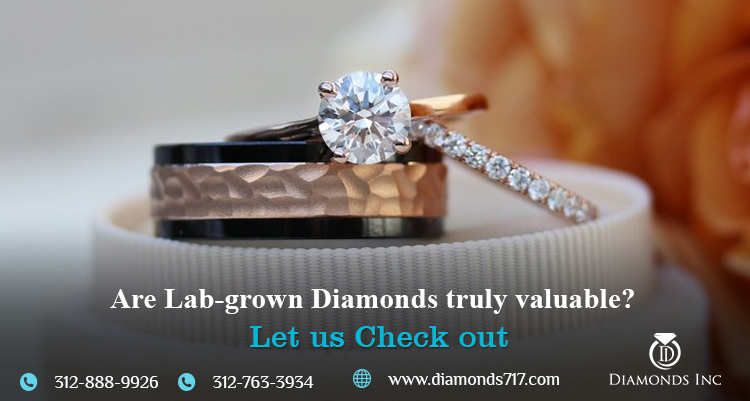 Well, in that case, it is better to look for their difference initially as most of you are still unaware of the basic facts about lab-grown diamonds. 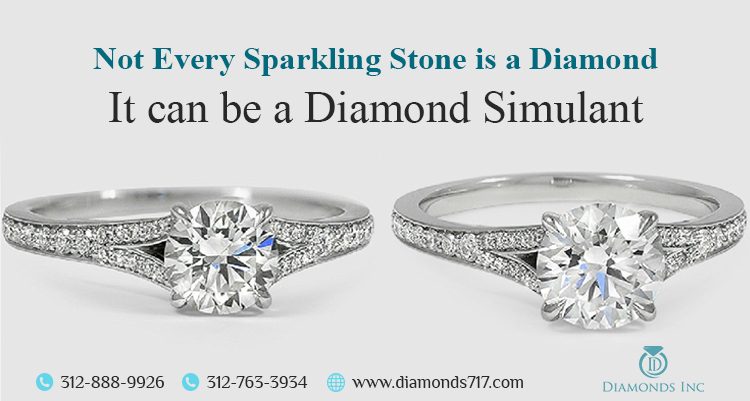 Most of you have a misconception, that lab-grown diamonds are fake diamonds and you end up referring them as duplicate diamonds, or diamond simulants. This is where you all go wrong. This blog is basically for you people who are preparing their mind for real diamonds and refuse to go with lab-created diamonds. Well, we are not compelling you to go with lab-grown diamonds. We simply don’t have any right to do so. But what we can, is to make you aware of the differences between the two. Once you are aware of all the features, you itself will be able to decide, which one to prefer the most. So, let us check out is there really any difference between lab-created diamonds and natural diamonds? Let Us Start With Their Origin. Natural diamonds as the name suggest, are formed naturally under earth’s crust. The diamonds that are mined today, take over billions of years to grow. These are formed when the pure carbon undergoes very high temperature and pressure, under the Earth’s mantle. This gives rise to Organic diamonds, or the popular natural diamonds and is brought above the earth’s surface either by mining or naturally through violent volcanic eruptions. According to science, it only forms in the Diamond Stability Zone and under 2200 degrees Fahrenheit. That is the reason why Diamonds are said to be the most stable form of carbon. In contrast to this, lab-grown diamonds are man-made and are formed in the laboratory under the supervision of the gemologists. In order to make these diamonds identical to organic diamonds, they are grown under high pressure and high temperature. Basically, two fundamental methods are used to create these diamonds. They are: either chemical vapor deposition(CVD) process or high-pressure-high temperature(HPHT) process. However, CVD method has ruled over HPHT process, in today’s date. To know in details check out the blog how lab-created or Synthetic diamonds are made. Though lab-grown diamonds are named as ‘synthetic diamonds’, they are not technically synthetic diamonds. This is because the man-made diamonds possess the identical physical and chemical composition as that of the real mined diamonds. They hold the same fire, scintillation and same optical properties as organic diamonds. Are Man-Made Diamonds Devoid Of Flaws? By the term ‘flaws’ we mean to say, the number of inclusions present in the diamonds. Whether it is organic or synthetic, diamonds definitely have inclusions. Some have few and some have many. Depending on such inclusions, the clarity of a diamond is determined. More the flaws, less the clarity and vice-versa. For both lab-grown and natural diamonds, clarity grades are assigned by the GIA or AGS labs. In case of lab-grown diamonds, metallic inclusions occur as a molten metal solution is used to grow such diamonds. These are basically identified with 10x magnification. However, natural diamonds are devoid of such metallic inclusions. Moreover, hardly such organic diamonds are found, which are devoid of inclusions like feathers, crystals, pinpoints, and clouds. Unlike organic diamonds, lab-created diamonds have multiple shades – white, yellow, pink, red, blue, green, and all other shades ranging from K to D grades. 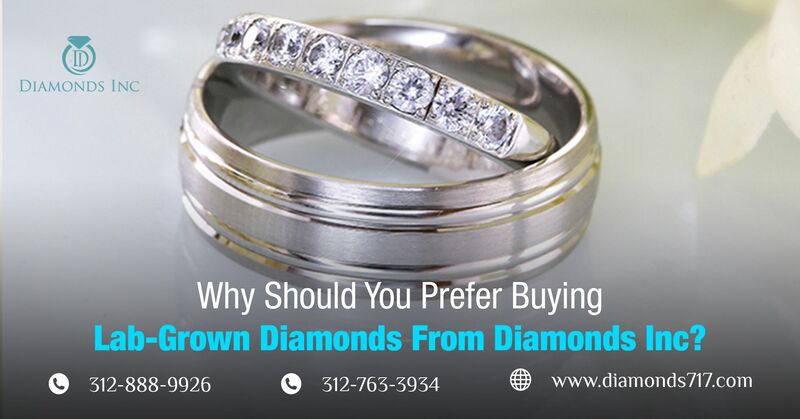 CVD grown diamonds are basically brown in color and are decolorized in order to make them colorless and near colorless. Whereas, most of the organic diamonds are naturally colorless and some of them due to impurities have yellow and blue hues. Therefore, if you are interested to put on a variety of shades, then man-made new dawn diamonds can give you the flexibility. Both lab-grown diamonds and real diamonds are graded from GIA labs, but both in a different way. In case of man-made diamonds, the GIA issues a Synthetic Diamond Grading Report. This report represents the color zoning, metallic inclusions, weak strain patterns and colors of ultraviolet fluorescence, in order to distinguish them from the real diamonds. Hope now you have understood that lab-created diamonds are far different from the Diamonds simulants. Duplicate diamonds only look identical to real mined diamonds, and fail to possess any other properties of organic diamonds. But the man-made diamonds give you every possible feature at a less expensive rate. So, which side will you take? Be wise to decide it. Good to see real expertise on display. Your coibtnturion is most welcome.